A chaplain plays many roles when providing care and support to different people and situations that can be challenging. One role of the chaplain is that of a care provider or member of an interdisciplinary team or family. By using the lens of family systems thinking, a chaplain can gain greater understanding of her/his role in light of the family systems elements that may enhance or hinder effective chaplaincy care to the diverse populations served in ministry. All chaplains from different settings, clergy of all faiths, scholars/researchers, and leaders and practitioners of pastoral education and counseling. Chaplain Moses Taiwo MPA MDiv PhD BCC manages the clinical pastoral education program in the Office for Mission and Spiritual Care at Advocate Good Shepherd Hospital, Barrington, IL. He previously served as a full-time supervisory staff chaplain at Carolinas Medical Center, Charlotte, NC, for five years. 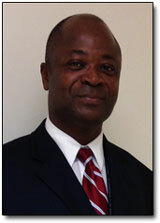 Originally from Nigeria, West Africa, he and his family migrated to the U.S. in 1997 after he had served as a seminary professor at Babcock University (formerly Adventist Seminary of West Africa) from 1987-1997. Taiwo holds master's degrees in pastoral arts and divinity, and a doctorate in New Testament from Andrews University, Berrien Springs, MI. Taiwo was ordained in 2003 by the Michigan Conference of the Seventh Day Adventist Church, and is endorsed by the Adventist Chaplaincy Ministries of the General Conference of the Seventh Day Adventist Church. He has been a member of APC since 2001 and a BCCI board certified chaplain since 2006. He was certified as an associate supervisor with the Association for Clinical Pastoral Education in 2011.